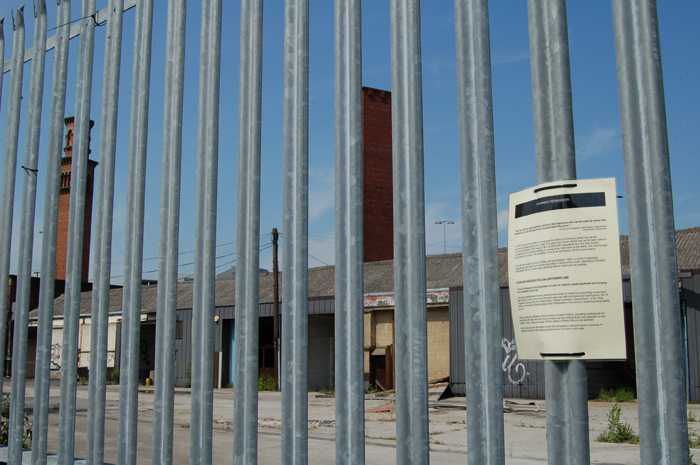 'Planning Permission' consists of a series of 9 laminated panels, mimicking notices of 'application for planning permission,' positioned around the site of a former pin factory soon to undergo redevelopment. 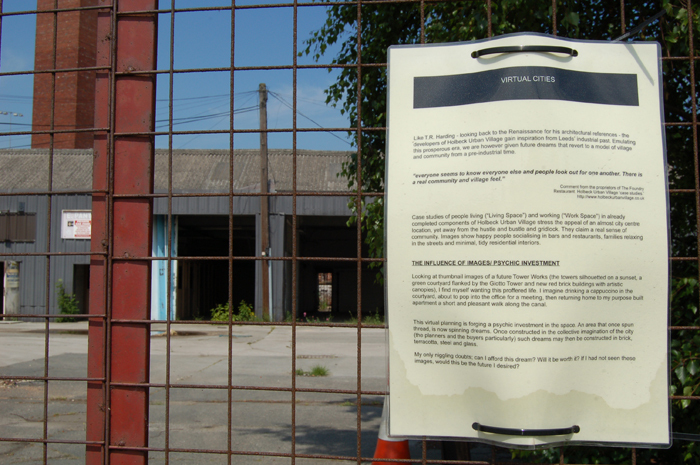 The panels reflect on the history and potential futures of the site. 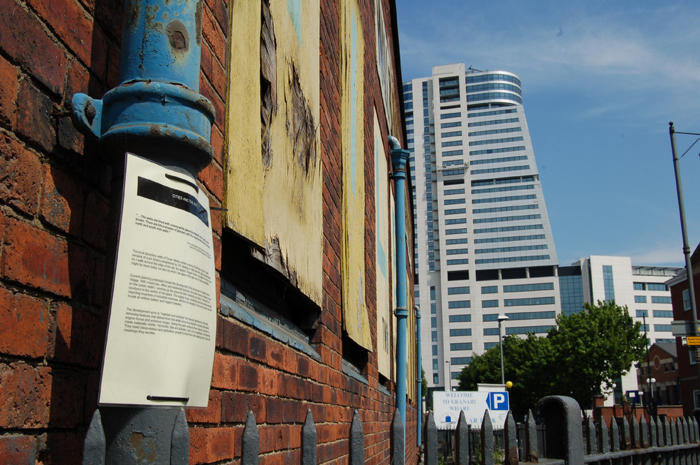 Produced as part of 'Situation Leeds' festival of art in the public realm.